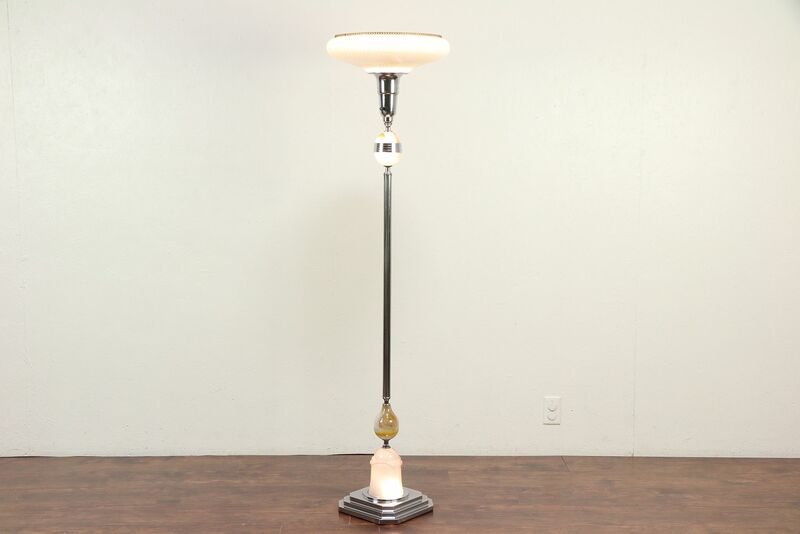 An Art Deco "torchiere" floor lamp from the 1930's has slag glass lighted mounts in the chrome base. A switch on the base lights the upper and lower stained glass mounts. An upper switch operates the top light in the ribbed glass shade. There is a little corrosion to the finish at the bottom, see photos. American made lighting, this lamp has been rewired. Size is 16" across the shade and 64" tall.